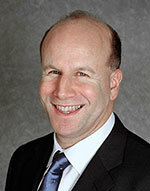 Dan Schwartz is Professor of Clinical Ophthalmology and Director of the Retina Division at UCSF. With Caltech professors, Dr. Robert Grubbs and Julia Kornfield, he co-founded Calhoun Vision 15 years ago. Since then, he has worked closely with scientists, clinicians, and management as the company's Light Adjustable Lens has been developed from an idea to an actual product. Dr. Schwartz will share tough lessons learned and suggest a model for physician-driven innovation. He will also describe efforts by professors at Caltech and across various clinical departments at UCSF to test this innovation model outside of ophthalmology. Dan Schwartz is Professor of Clinical Ophthalmology and Director of the Retina Division at UCSF. For over 15 years he has collaborated with Caltech faculty developing technology to better diagnose and treat ocular disease. These collaborations have been the focus and highlight of his career.